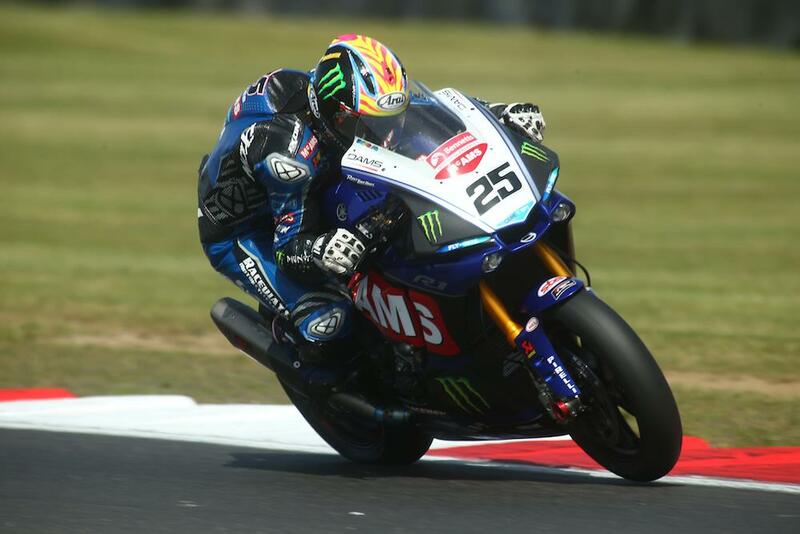 Josh Brookes bagged his best qualifying position of the year as the McAMS Yamaha team continue to show signs of improvement at Snetterton. Brookes’ time of 1’46.768 was enough to see him hold provisional pole as the clock ticked down on this afternoon’s qualifying session until young gun Bradley Ray pipped him to the post in the final stages. However, the impressive showing was still enough for the Aussie to secure second place and his first front row of the season. Despite a move to the factory-backed McAMS Yamaha team for 2018, Brookes has struggled so far this year with a best result of two sixth places last time out at Oulton Park. However, a new engine-spec introduced on Friday seemed to fix the Aussie’s issues as he shot to the sharp end of the timesheets. A step backwards in set-up saw him struggle on Saturday morning, but reverting to Friday’s settings would enable him to challenge for pole come qualifying. “I have just bettered the best time I set on the R1 in 2015 so it’s a good sign of things to come,” said Brookes. “If I can progress with the bike further than we have already and better all my times on the circuits we go to now than what I did in 2015 then it’s a sign things are improving and I’m back in the range with the bike where I’ve been before. “We’re trying to keep the positives and move forwards. For the first few rounds this year I’ve been off my own pace, off the best Yamaha pace and off the pace from the podium finishers so it’s been clear that the package and team can do better, we just had to find a method of achieving that.